Make a style statement with the Agenda range, offering designer looks and a contemporary design. 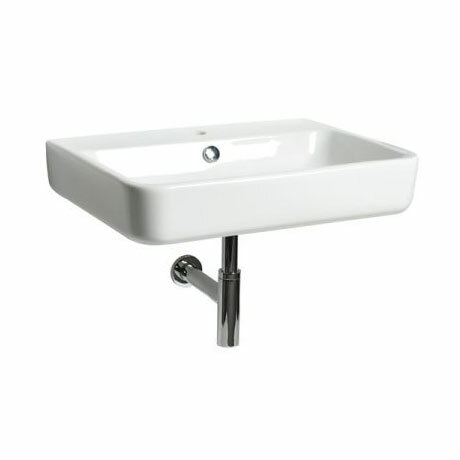 This 600mm ceramic basin is manufactured from high grade ceramic and finished in gloss white. The basin comes paired with a chrome bottle trap and features a single tap hole for use with a basin mixer and an integrated overflow.